Columbus, Georgia is the location of obsequies for yet another hometown girl. Brenda M. Tibbs Wright, former SF Bay Area resident and Caltrans employee, born into a military family and married into one, will be laid to rest November 30, 2018. U.S. military families, The Wrights and Tibbs of Columbus, Georgia, near Fort Benning, mourn the passing of Brenda M. Wright, wife of U.S. Army Veteran, Joe N. Wright and daughter of U.S. Army Veteran Bruce Tibbs, Sr.
Three children, Damon, Candis and Chad, were born to Joe and Brenda Wright's 43 year lifelong relationship and 38 year marriage. After supporting her husband's tour of duty for several assignments, Mrs. Wright settled with him in the San Francisco Bay Area. Just over five years ago, after 20 years of working for Caltrans in various positions, she retired from Caltrans and her husband resigned from MV Transportation to care for her elderly father. Her devoted husband Joe N. Wright continues to care for his father-in-law, "Pop Tibbs" as they mourn her death November 18, 2018, after several months of rehabilitation from surgery. Born on July 23, 1956 in Cambridge, England, Brenda M. Wright is a 1974 graduate of Baker High School in Columbus, GA and attended Chattahoochee Technical College and Columbus College, now Columbus State University. 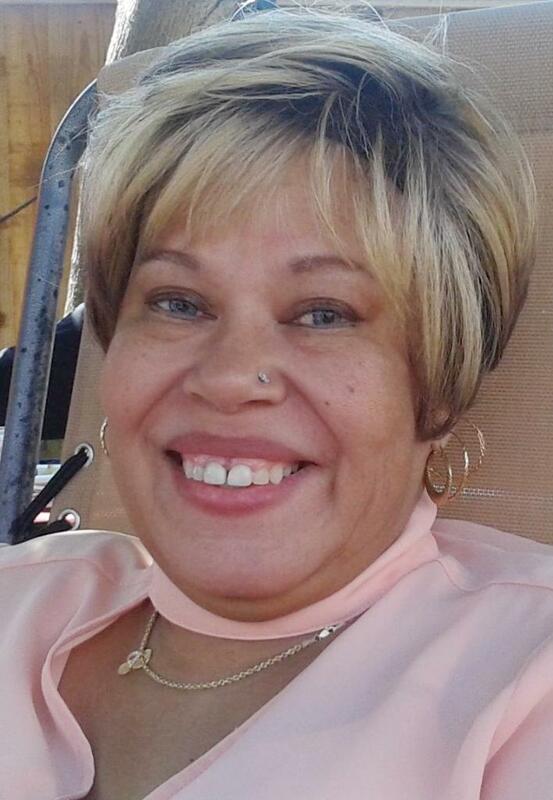 Brenda M. Wright's passing is greatly mourned by Loving Husband, Joe N. Wright; Devoted Children: Damon, Candis (Devon Alli) and Chad (Tina); Grandchildren: Jacobi Barrett (Candis), Ava Noel Wright and Savannah Wright (Damon), Chad N. Wright Jr. and Giselle Wright (Chad & Tina); Father: Bruce Tibbs Sr.; Brothers: Bruce Tibbs Jr. (Sandy), Brian Tibbs (Nell); Brothers in-Law: Stanley Wright (Viola) and Woodrow Cameron (Phyllis); Sisters in-Law: Jackie Wright, Phyllis Cameron (Woodrow), Viola Wright (Stanley); Sandy Tibbs (Bruce) and Nell Tibbs (Brian); and a host of other relatives and friends. Funeral Services will be Friday, November 30, 2018 at Sconiers Funeral Home, 836 5th Avenue, Columbus, GA. 31901 at 11:00 a.m. Burial immediately follows at Fort Mitchell National Cemetery with family and friends gathering again at the Columbus Baptist Association, 3679 Steam Mill Road, Columbus, GA 31906 at 2:00 p.m.